Watch: Paul Rudd, Jimmy Fallon have a lip-sync battle on "Tonight Show"
The lip-sync battle is on. 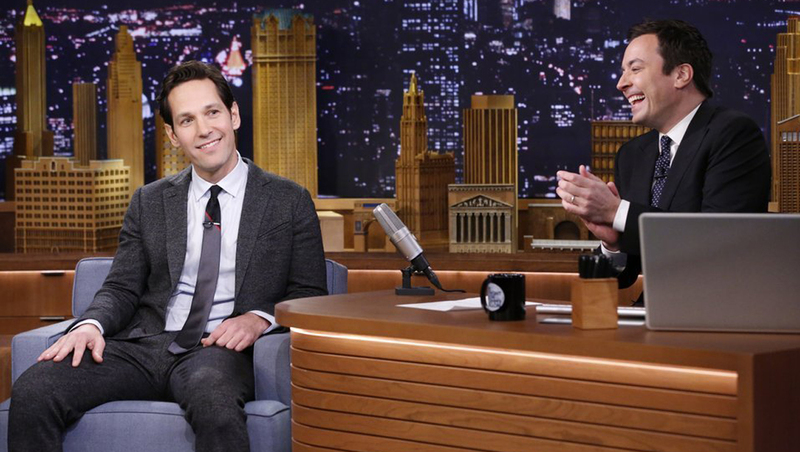 On Tuesday's episode of "The Tonight Show Starring Jimmy Fallon," both Fallon and guest Paul Rudd took a turn at lip-syncing some well-known songs -- marking the late-night talk show's first official battle. "My first selection is a Grammy Award-winning song...It's by Tina Turner and it's called 'You Better Be Good to Me," said Rudd, who did a great job with, though we wouldn't have minded if he incorporated in some Tina Turner moves, too. Fallon, though, danced around quite a bit when he took on Foreigner's "Juke Box Hero." Check out the video below to see the other two songs each "contender" chose -- and to find out who won.